Michael McFadyen's Scuba Diving - Bare Island Introduction For the history of Bare Island, click here. The island has certainly changed since those tranquil days. In the 1870s the authorities of New South Wales had the view that the Russians were likely to invade Australia. Therefore, in 1877 two British fortification experts, Sir Peter Scratchley and William Jervois were sent to Australia as a result of a request from the Colony of New South Wales. 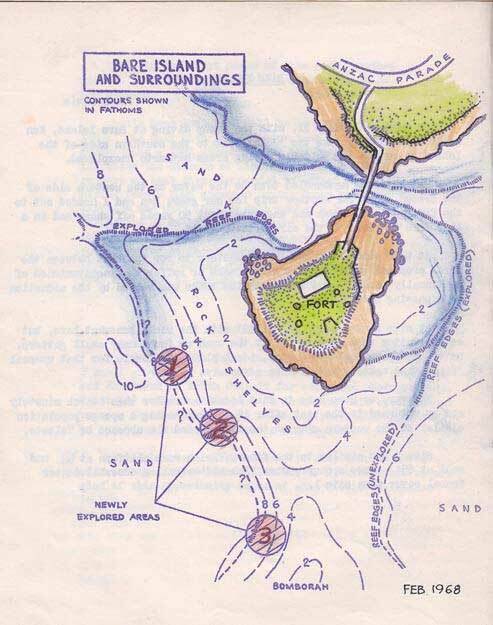 They were given the task of designing and co-ordinating the defence of Sydney and they planned a series of forts and gun batteries to protect against attack. Bare Island was planned as the sole defence of Botany Bay. The fortifications on the island were built during the period 1881 to 1889 under the direction of the Colonial Architect, James Barnet. The barracks were completed in 1891. It became apparent that the fort and barracks had been subject to substandard workmanship and this led not only to the resignation of James Barnet, it led to a Board of Inquiry and then to Australia's first Royal Commission. 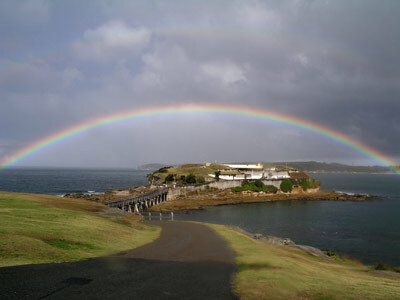 For more information about the Bare Island Fort, see the NSW National Parks and Wildlife Service Web Site. Joined to the mainland by a small timber bridge, Bare Island is perfect for either day or night diving in almost all weather. In even moderate seas you can safely dive in almost any spot and in very heavy seas you can usually dive the protected (right) side of the island. 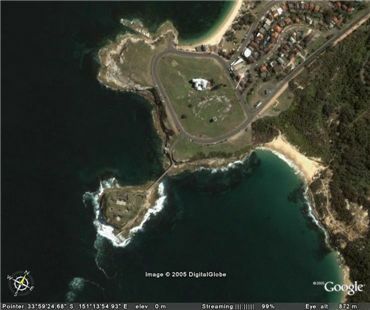 Only in huge seas (say over five metres average) can you not get a dive at Bare Island. There are many different dives can be done around the island itself, as well as along the shore on either side of the bridge. These are listed below with a short description. When diving here, beware of small boats and jet skis which regularly speed under the bridge, taking no notice of dive flags or the ban on jet skis. When ascending at the end of a dive anywhere near Bare Island, make sure you listen before leaving the bottom. Best bet is to not ascend at all, even if you have lost your buddy. Swim back to shore before ascending.